A few days ago, I remarked in an LI group I belong to that I needed some help understanding how to send Neil Hughes a voice message on my iPhone. Others were able to do that, but I couldn’t figure it out. Of course, Neil immediately rushed to help me, and yes. I guess I can do it after all. And I will, Neil! Honest! I was both delighted AND surprised to be praised for having done that, because asking questions is a sign of strength to me, not weakness. I realize it’s the same for Arnie, but I guess not for everyone. No one does. We are all smart in many things, but not in everything. I grew up in a world that revered IQ. If you had a high one, you were expected to be smart in everything. 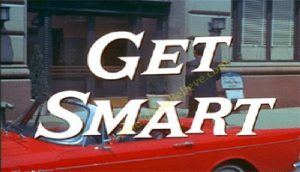 Smart was smart, right? IQ was supposedly the answer to anyone’s ability to do well, to succeed, to be able to master everything in the world. Clearly, IQ wasn’t (and still isn’t) the answer to everything. Then came EQ, back about 20 years ago, in a book entitled “Emotional Intelligence” by Daniel Goleman, that I read cover to cover dozens of times. It helped me — and millions of others — understand at least one reason that some very smart people might have trouble with others. It’s not a cure-all, but it sure helped me see that there are lots of ways to be smart. And they are all valuable. I know I have a decent IQ; I can learn many things reasonably quickly, and I’m pretty good at most of what I need to be good at (not math, though). But “pretty good” isn’t always good enough. So when I’m stumped, especially with my website (right, Sheila Oliver?) or social media (right, John White? ), I reach out. So, Arnie, thanks so much for your comment, which sparked this post. I appreciate what you wrote, and you never know when I might reach out to YOU to find out more about marketing and technology. How are YOU smart? What are YOUR strengths? YOUR challenges? PS: Those of you who were watching American TV in the mid-’60s might recognize the picture at the top. 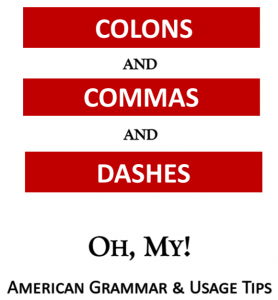 ← How Good Are YOUR American Grammar Skills?